Gentle Clean Carpet Care offers a wide range of services for all of your carpet and upholstery cleaning needs. 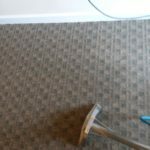 Gentle Clean’s proven carpet cleaning tactics will have your carpets looking new again! Cleanliness is not only important for your home; it extends into the workplace. 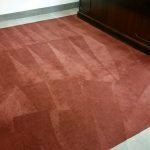 Gentle Clean Carpet Care uses the same cleaning principles used in residential cleaning to offer commercial cleaning services. Your furniture is as important to a room’s appearance as your carpet. That’s why Gentle Clean Carpet Care uses the same process for upholstery cleaning as we do for carpet cleaning. Gentle Clean is a 24-hour Emergency Response Service able to handle water clean up and restoration. You’ve scrubbed for hours, you’re tired and sore, and yet your tile and grout still have that grungy appearance! It’s time to call the professionals at Gentle Clean Carpet Care. To ensure we can work on your project, we are happy to offer a full line of Green Cleaning products that are free of irritating dyes, perfumes, detergents, solvents or phosphates. Contact Gentle Clean Carpet Care today and get your carpets looking like new!